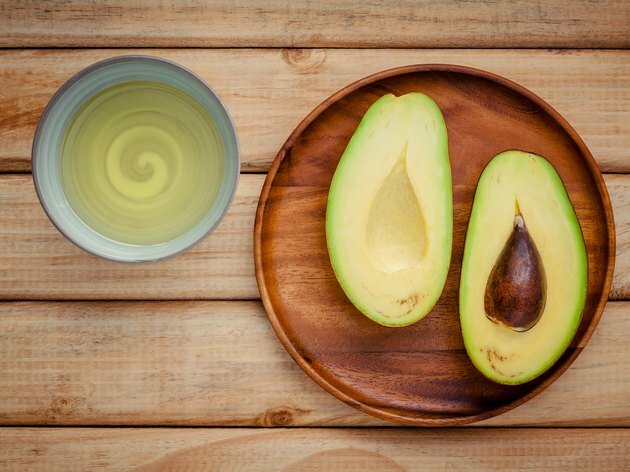 What Are the Benefits of Avocado Oil? Avocado oil, derived from the avocado fruit, boasts some unusual and uniquely healthy properties. Avocado is high in vitamin E and unsaturated fats and contains more protein than any other fruit and more potassium than a banana. Avocado oil is extracted from the flesh of the avocado and offers a variety of purported nutritional and medicinal benefits, some of which have been confirmed through scientific research. Avocado oil boosts absorption of carotenoids in your food, according to a study published in the March 2005 issue of the "Journal of Nutrition." Fat-soluble carotenoids rely on dietary fats, but most foods that are high in carotenoids are low in fat. Enter the avocado. This fruit contains high quantities of unsaturated fatty acids as well as generous amounts of carotenoids. 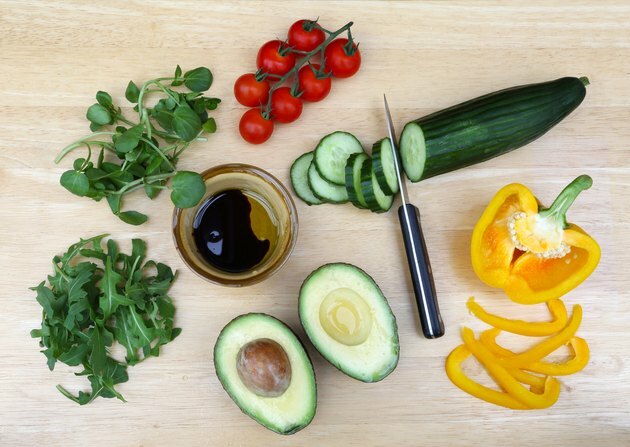 In the study, both high and low doses of avocado oil enhanced alpha-carotene, beta-carotene and lutein absorption from a salad by as much as 15 times compared to a salad without avocado oil. Avocado oil lowers blood pressure, according to a study published in the April 2005 "Journal of Ethnopharmacology." 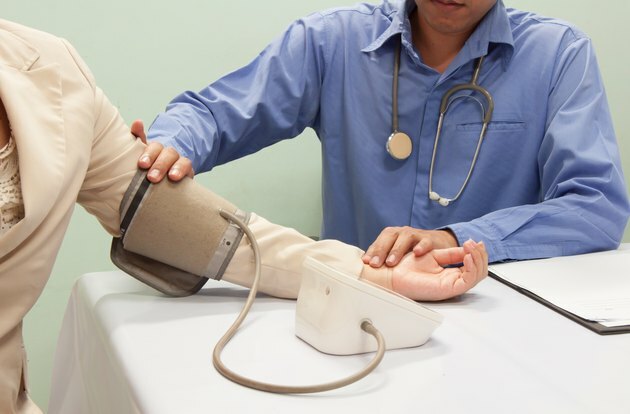 In the study on laboratory animals, a diet rich in avocado oil altered levels of essential fatty acids in kidneys, resulting in changes in the way the kidneys respond to hormones that regulate blood pressure. 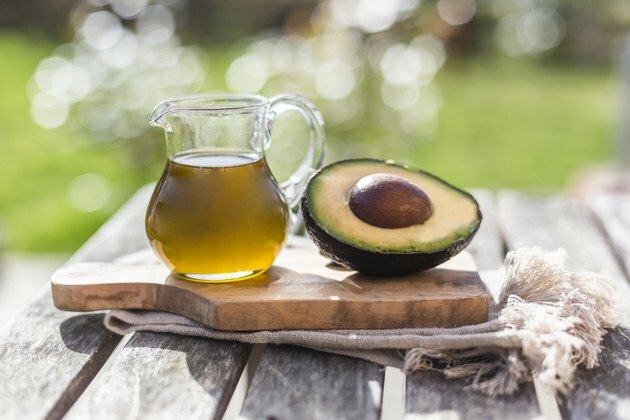 Avocado oil also influenced fatty acid composition in the heart, leading the researchers to conclude from this preliminary animal study that a diet that includes generous amounts of avocado oil may improve blood pressure. A combination of avocado and soybean oil extracts has received prescription drug status in France and is marketed in Denmark as a food supplement for its anti-inflammatory effects and its ability to stimulate cartilage growth and repair. The authors cite four high-quality research trials that indicate the oil combination has been used successfully to treat symptoms of knee and hip osteoarthritis. They note, however, that while arthritis symptoms improved, no structural improvements were observed. The study was published in the August 2005 issue of the journal "Ugeschrift for laeger." 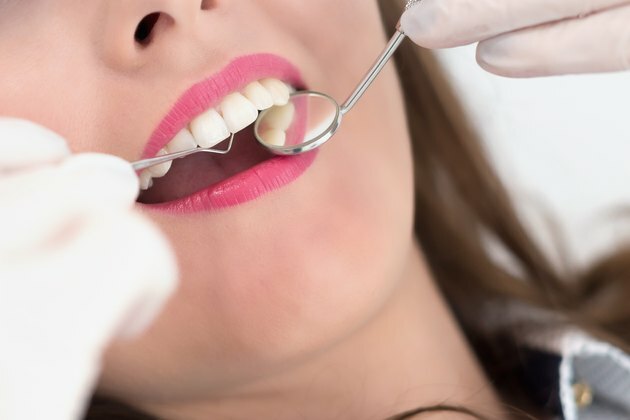 The "Journal of Periodontal Disease" reported in its July 2006 issue that avocado and soybean oils may be useful in the treatment of periodontal disease. In the tissue culture study of human periodontal ligament and bone cells, avocado and soybean oil reduced inflammation by inhibiting pro-inflammatory cytokine molecules. The researchers concluded that avocado and soybean oil exert anti-inflammatory effects that may be helpful in preventing bone erosion associated with periodontal disease. Psoriasis responds well to avocado oil and vitamin B12, according to a study published in the 2001 issue of the journal "Dermatology." Psoriasis patients used the vitamin and avocado oil cream for 12 weeks and showed consistent improvement throughout the study period. By contrast, a group that used a vitamin E cream showed benefits for the first four weeks, after which the effects subsided. 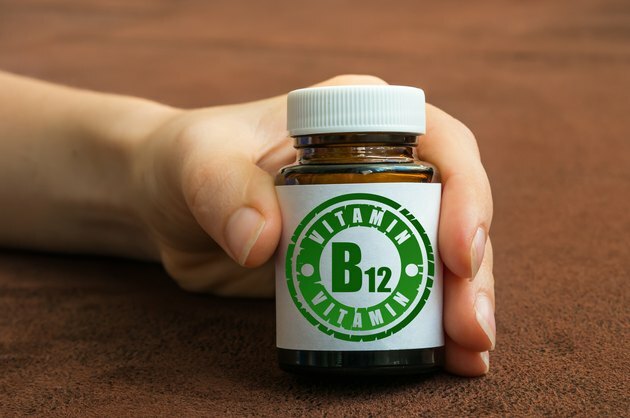 The researchers concluded that avocado oil with vitamin B12 may be a useful long-term topical treatment for psoriasis. Is Avocado Oil Good for the Skin? What Are the Benefits of Bergamot Essence?